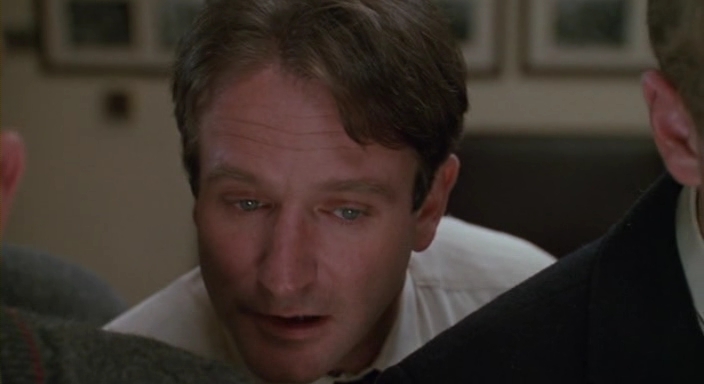 To Robin Williams, who made us laugh and inspired a generation with one scene (here) in Dead Poets Society (1989), I am so sad that he is gone. I have mentioned that carpe diem scene, sentiment and stars many times on this blog: here, here, here, here and here. 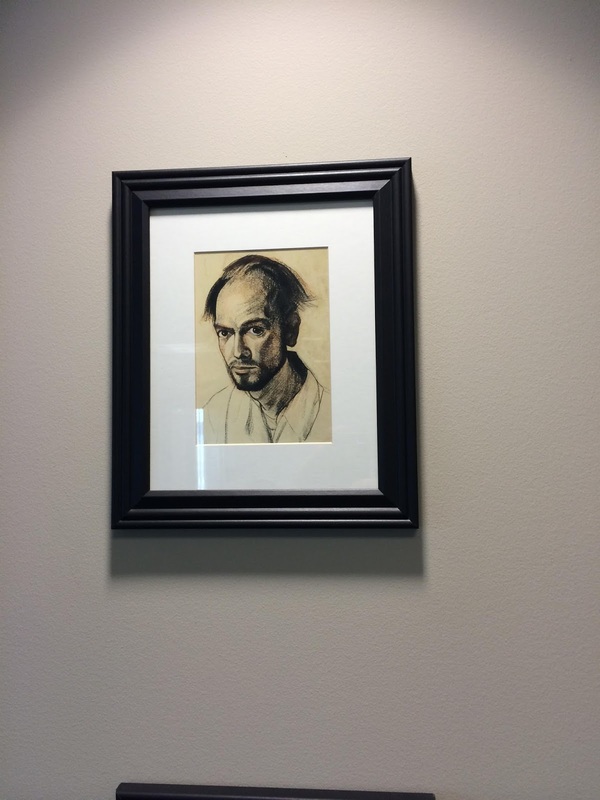 That speech is one of the reasons this blog exists. You only have so much time in your life; if you have something to say, you had better say it. I have thought about Dead Poets Society for years. 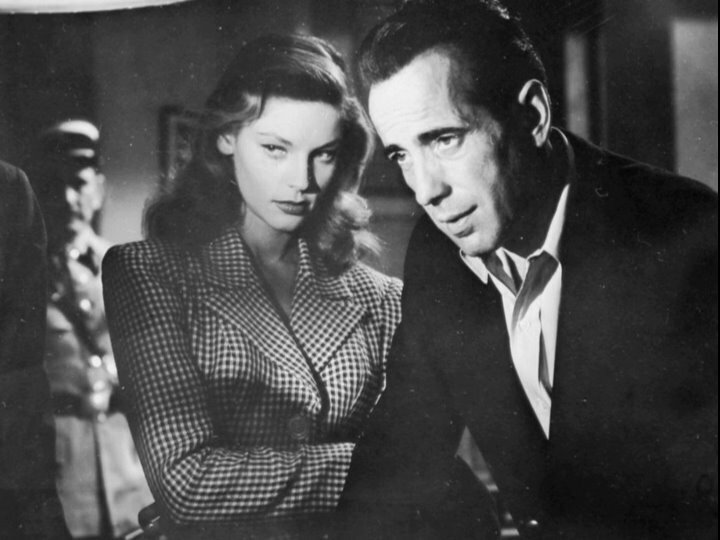 With that role, Williams showed his insight, depth and versatility as an actor. He went on to play other characters who grappled with social alienation (The Fisher King, Good Will Hunting, One Hour Photo). Dead Poets Society asked a question about how the individual can find validation in a world of conflicting values, while struggling with conformity and non-conformity, the pressurized demands for achievement, the futile sense that time is always running out, and a final, redemptive creativity: "Only in their dreams can men be truly free. 'Twas always thus, and always thus will be." (Click to enlarge.) Image Source: Twitter. A Perseid over Glastonbury Tor (2010) © M. Kempsey. 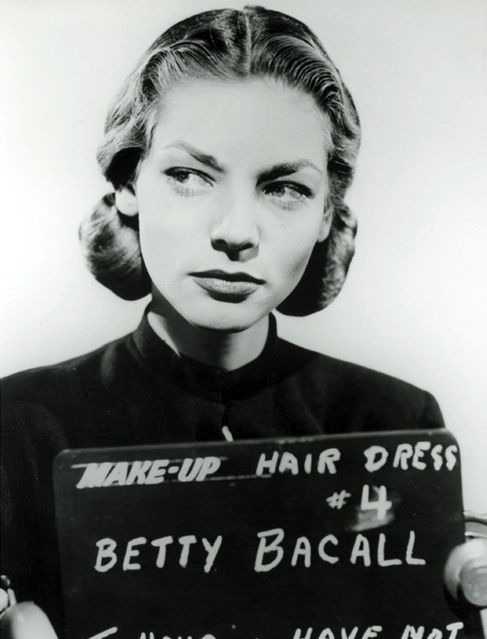 Image Source: Telegraph. 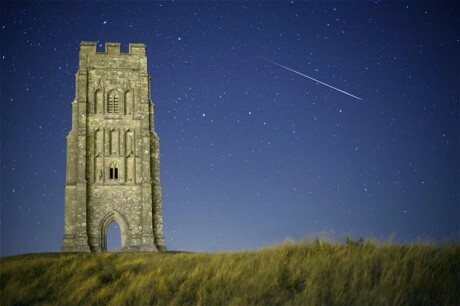 Caption for the above photograph: Somerset: Meteor at Midnight, Glastonbury Tor by Mike Kempsey (DT6 Photographic) (UK). A meteor captured streaking across the sky by Glastonbury Tor in Somerset on 12 August 2010 at the peak of the annual Perseid meteor shower. The Perseids is one of the most prolific showers, often with around 80 meteors an hour during its peak. Nevertheless, meteors are hard to catch on camera: the photographer has used a continuous shooting mode so that the camera was photographing non-stop in order to catch this fleeting image. Photo: Mike Kempsey (DT6 Photographic). The Perseids, the star attraction among annual meteor showers because of their long viewing time in late summer, have returned. These falling stars have been observed around the constellation Perseus for at least 2,000 years, since 36 CE, or earlier in Eastern sources. They are visible from late July to late August. They are visible mainly in the Northern Hemisphere in the east/northeastern sky. This year, a Google doodle commemorated this brightest moment of the amateur star-gazing calendar. 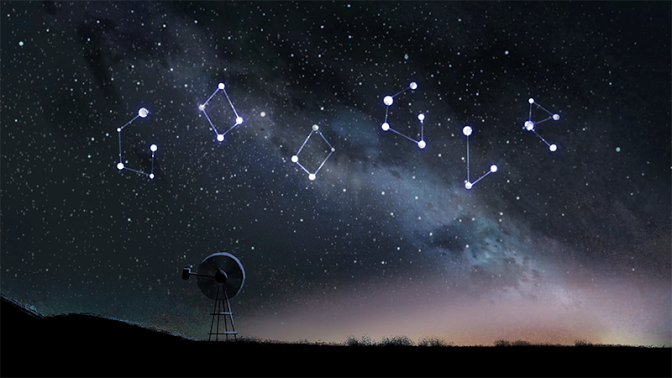 Google gives background on the 2014 Perseids Google doodle here. You can see a worldwide map on where to look for them according to your location, here. For tips on watching them, go here. In 2014, The Full Moon on August 10th and the Waning Gibbous Moon occurring on August 12th will have a negative impact on the visibility of the Perseids. Due to the bright moonlight, the fainter meteors may not be visible. It is advisable to observe the meteor shower during the predawn hours on the mornings of August 11, 12, and the 13th. With up to 60-100 meteors per hour predicted, observers may catch several bright meteors streaking along in the night sky. Stellarium star-gazing freeware shows the Perseids falling according to time and location of the place on earth and spot in the sky; you can download it, set the view to your location, and cycle through times of day/night until you find an optimal viewing window when the moon does not obstruct the view, yet it is still dark. Watching them is worth the trouble: seeing one meteor, let alone a storm of them, reminds one of ancient star-gazing traditions, and gives a sense of the unity between the earth and the heavens. Although they are just burning space rocks, they have a miraculous effect on the psyche. Read my earlier post on the myths around falling stars, here. Ancient tradition said that you could wish on these meteors because they represented a moment when the firmament opened and the gods looked down onto our world, knocking some stars down as they did so. Although they are normally deaf to human entreaties, because they are listening at that moment, they will hear your requests. Look east/northeast to find the constellation Perseus. Image Source: NASA. Click to enlarge: the northeast area of the night sky to watch the Perseids near their peak for Ottawa, Canada, 12 August 2014. 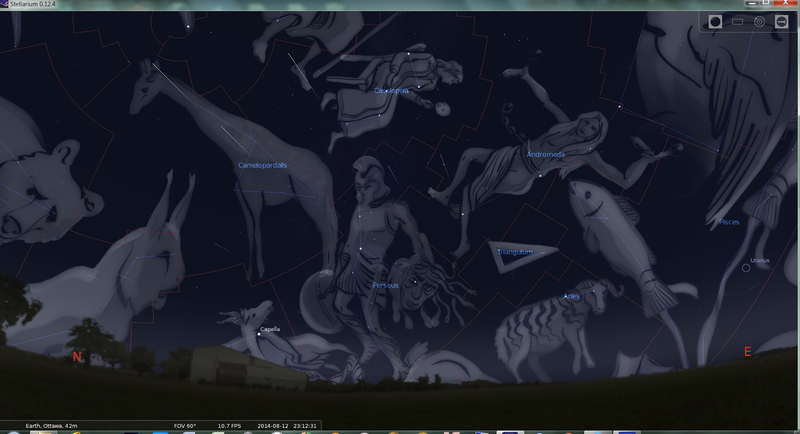 Image Source: Stellarium (a free downloadable software that lets you look at the constellations in your area). 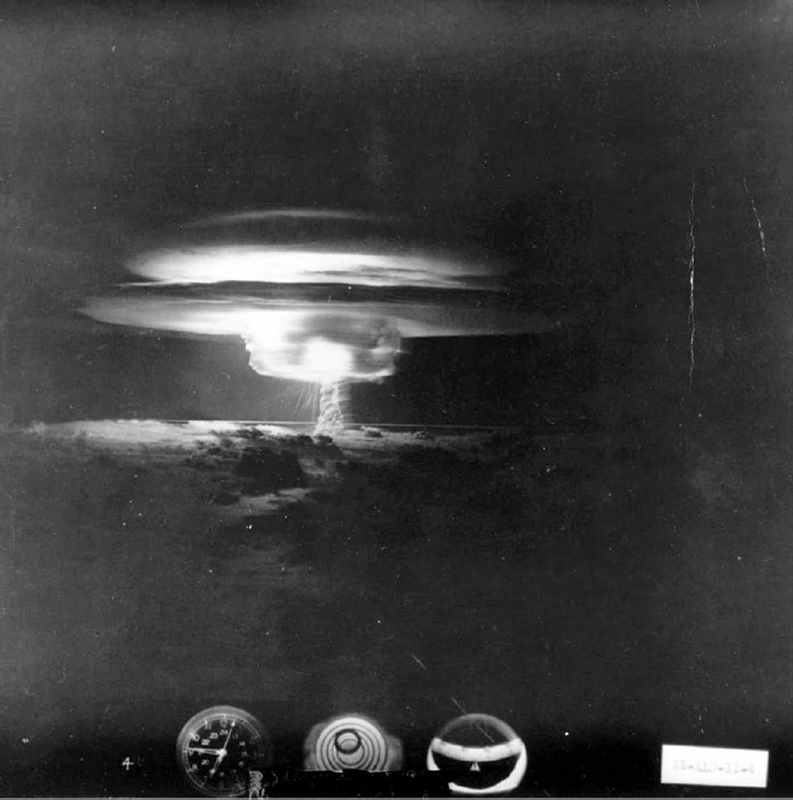 Castle Bravo H-bomb test photographed from an aircraft 50 miles away from ground zero (1 March 1954). This week (August 6 and 9) marks the 69th anniversaries of the US atomic bombings of Hiroshima and Nagasaki. There were two terrible legacies from the Second World War, never fully understood, which became mainstream post-war and were insidiously repurposed into false positives. The first legacy involved discoveries made around social control, derived from Nazi propaganda and the Holocaust. The other legacy was nuclear. The latter paved the way for the Cold War, atomic weaponry and the 'green' nuclear energy industry. Nuclear tests, such as 1954's Castle Bravo (above), punctuated a line of technological developments which eventually led to the rise of the Internet. At that point, the two legacies came full circle and reunited: the Atomic Age gave birth to the Digital Age. Image Source: PBS via ENE Energy News. 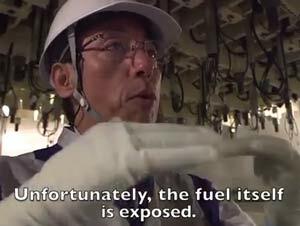 14:05 — Masuda: Unfortunately, the fuel itself is exposed. 14:10 - O’Brien: Melted through? 14:15 — Masuda: Melted through the pressure vessel, and coming down to this room and it goes down to the floor. If you think PBS ran this story on the anniversary of the Hiroshima bombing by coincidence, you are not paying attention. The Japanese hope to invent robots which can remove the radioactive melted cores at the Daiichi plant by 2020. In the meantime, expect continuous pollution of the atmosphere and the Pacific Ocean.